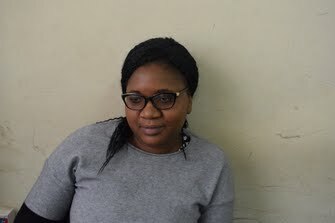 Rutendo Mawere is a multimedia journalist. 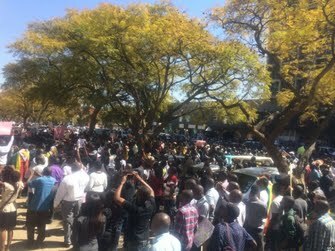 This is a picture story were thousands of Zimbabweans joined a demonstration against bond notes. Zimbabweans have been using multi-currency since 2009 but the Zimbabwean government introduced bond notes. The government said the bond notes have equal value to the American dollar despite the fact that now the market is not reflecting this. The police heavily descended on the protesters. This story is about a Pastor in Zimbabwe who started a social movement #ThisFlag to protest against the collapsing economy. 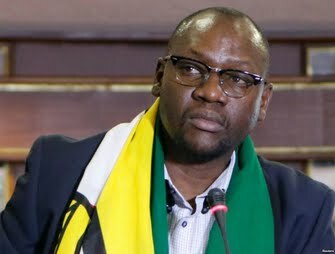 The Pastor, Evan Mawarire was then arrested and the charges were dropped but he fled the country with reports that his life was in danger. After his departure there was confusion as a lot of Zimbabweans had thought the movement brought hope to Zimbabweans .